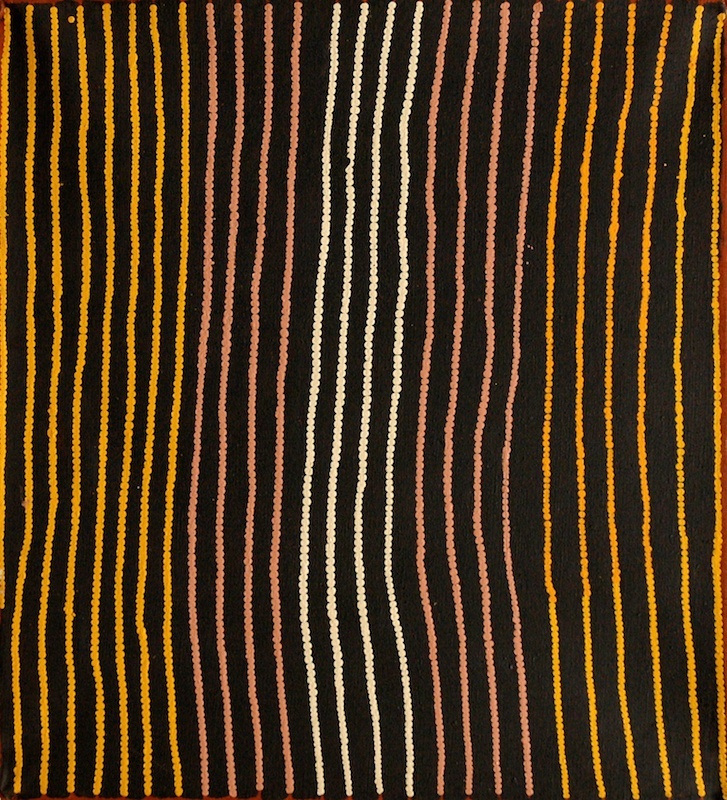 Charlie Wallabi Tjungurrayi was born circa 1945 near a soakage in country south west of Nyinmi near Jupiter Well in Western Australia. At the time of his first contact with Europeans he was travelling with his brother, Helicopter Tjungurrayi, near the Canning Stock Route. They were met by a survey team flying a helicopter. At the time Helicopter Tjungurrayi was ill and was taken to Balgo. Charlie was unwilling to travel with them and instead walked in to Balgo. 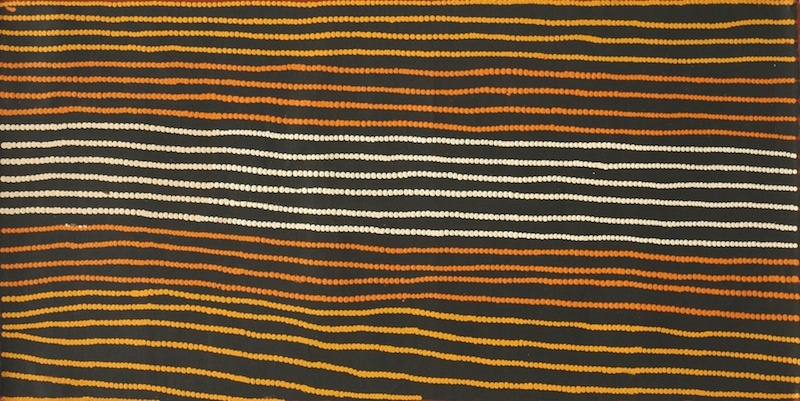 Charlie settled at Kiwirrkurra in the mid 1980s and began painting for Papunya Tula Artists in 1987. He has appeared in many group exhibitions over his career.